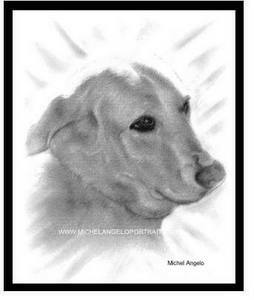 Michel Angelo Portrait Drawings specializes in hand-drawn portraits and portrait drawings done in pastel from a photo or photograph or other images. Realistic drawings are rendered for special occasions as gifts for loved ones and friends. Cutsom matting and framing services are also available. This is a wonderful site that offers cat lovers & cat owners a variety of information and products to enhance their mutual enjoyment. Petco Most pet owners have been in a Petco retail store. 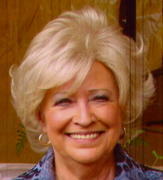 The pet products and variety are extensive. They offer free shipping frequently in order to increase their online sales. It's easy to check on the latest promotions by clicking on the image link. Pet Care Choice has a large supply of prescription and non-prescription drugs as well as a variety of flea and heartworm remedies. Entirely Pets is one that I buy my Feliway pet products from because their prices are very competitive for that particular product. They also carry a large quantity of vaccines, dewormers, flea & tick items, and heated beds. They have a selection of HomeoPet(anxiety, leaks no more, skin and itch, nose relief, trauma and hot spots meds, military eczema, bug bite meds, first aid items, travel anxiety treatments, joint stress, digestive upset pills, cough medicine. Ark Naturals Happy Traveler, proquiet, petzlife at eaze, Feliway spray and liquid. A large selection of topicals such as balms, ointments, healing salves, anti-itch medicated lotion, eye cleaners, hydrocortisone meds. They also have a variety ofear and eye products as well as odor removers such as Wee Wee. Pet Street Mall typically offers free shipping on orders of $50 or more. They have an excellent selection of fun funnels, feline fun runs, cat dancers and many other toys. They carry high quality litter systems including automatic pans, toilet training systems, heavy duty pans, and enclosed pans. 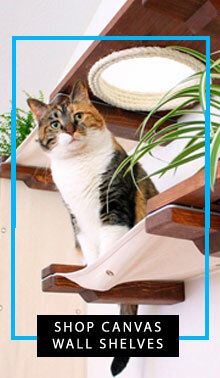 Other pet products include a variety of cat furniture, including cat scratching posts, cat perches, cat houses and cat trees. They stock a large selection of heated cat beds and they also have flea and tick medications. Wysong is a family owned business that started back in 1979 when Dr. Wysong, a DVM in veterinary surgery and medicine who has a B.S. in biology and chemistry, decided to research and develop nutritional pet products. 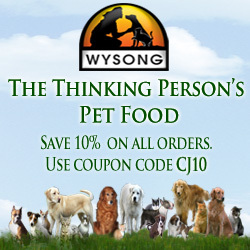 They offer raw diets in their selections of holistic foods and supplements for cats. Only Natural Pet Store carries healthy supplies and the products are chosen for their holistic approach to pet health. Vitamins, suppliments, remedies, food, treats, flea & tick, litter, etc. They have Chinese herbs, flower essenses, organic pet products, Nature's Herbs for pets, grooming items, dental spray to remove tartar, and much, much more. Check out the Holistic Healthcare Library...it is full of helpful information about various topics related to natural pet health care. Canada Vet offers reasonably priced pet medications, flea & tick items, dewormers, heartworm items, ear & eye cleaners, collars, toothpaste, Gripsoft combs & brushes, laxative & furball remedies, shampoos & conditioners, no itch spray, catnip spray, styptic powder, antifungal cream, Wound-guard antiseptic, bitterant spray and a good selection of cat vitamins and supplements. Vet Shop pet products include: 3V Caps Liquid skin formula, Adams flea & tick, Adams inverted carpet spray, Advantage, Cat & kitten vitamin drops, Cat laxative and hairball remover, catnip spray, cough medicine, nutritional supplements, drontal feline, enzymes and probiotics, tapeworm tablets, Proheart, Profender for cats, Provite supplement for cats, OcluVet eyedrops, No scratch spray, Joint MAX, Greenies feline, Hot Spots, F.O.N. feline odor neutralizer & refills, cosequin, Derma-Vet, Denosyl SD4, Droncit. Amazon.com has a comprehensive inventory of pet doors, kennels, fence transmitters, litter box systems, pet containment systems, and much, much more.